Bolukbasi, Suha. Turkish-American Relations and Cyprus. New York: University of Virginia Press,1988. Couloumbis, Theodore A. The United States, Greece, and Turkey: The Trouble Triangle New York: Praeger, 1983. Crawshaw, Nancy. “Cyprus.” In Encyclopedia Americana. Danbury, CT: Grolier, 1985. Crawshaw, Nancy. The Cyprus Revolt London: George Allen & Unwin, 1978. Denktash, Rauf R. Document and Comments on the Cyprus Dispute Ankara, Turkey: Turkish Ministry of Foreign Affairs, 1996. Denktash, Rauf R. The Cyprus Triangle London: George Allen & Unwin, 1982. Denktash, Rauf R. The Cyprus Triangle 2nd Edition London: George Allen & Unwin, 1986. Grivas, George. Guerrilla Warfare and EOKA’s Struggle London: Longmans, 1964. Moran, Michael. Rauf Denktash at the United Naions: Speeches on Cyprus Huntingdon, UK: Eothen Press, 1997. USA: University of Waterloo Press, 1976. Reddaway, John. Burdened with Cyprus: the British Connection London: Rustem/ Weidenfeld & Nicolson, 1987. This research project would not have been possible without support of the Princeton University Library’s Rare Books Collection. Their collection of the Nancy Crawshaw Archives was invaluable in helping formulate the type of historical research necessary to complete this project. Bolukbasi, Suha. Turkish-American Relations and Cyprus. (New York: University of Virginia Press,1988). Bolukbasi, 185. This short biographical sketch comes from the introductory page of the Princeton Collection of the Nancy Crawshaw Archives, Princeton, NJ. Most of the archives are unfilled and undated, however wherever possible I have included the date and the context in the body of my writing to help the reader identify the source. Moran, Michael. Rauf Denktash at the United Nations: Speeches on Cyprus (Huntingdon, UK: Eothen Press, ), 126. Denktash, Rauf R. The Cyprus Triangle (London: George Allen & Unwin, 1982),1. Hereafter Triangle. Triangle, 1. Crawshaw, Nancy. “Cyprus.” In Encyclopedia Americana. (Danbury, CT: Grolier, 1985), 13-14. Hereafter Encyclopedia. Moran, 7. Encyclopedia, 13-14. Encyclopedia, 14. Encyclopedia, 14. Encyclopedia, 14. Princeton Nancy Crawshaw Archives 1955 notebook. See Denktash’s The Cyprus Triangle for a fuller understanding of how he blamed the Greek-Cypriots for deliberately instilling Greek nationalism and Enosis within its community. Princeton Nancy Crawshaw Archives. Triangle, 19. Triangle, 17. For a better understanding of this guerilla war, EOKA and Colonel Grivas’ tactics and aims see Grivas’ own memoirs entitled Guerrilla Warfare. Patrick, Richard A. Political Geography and the Cyprus Conflict: 1963-1971 (Waterloo, USA: University of Waterloo Press, 1976), 7. Patrick, 7. Princeton Nancy Crawshaw Archives Reddaway, John. Burdened with Cyprus: the British Connection London: Rustem/Weidenfeld & Nicolson, Princeton Nancy Crawshaw Archives Princeton Nancy Crawshaw Archives Princeton Nancy Crawshaw Archives Crawshaw, Nancy. The Cyprus Revolt (London: George Allen & Unwin, 1978). Moran, 106. Triangle, 16. Princeton Nancy Crawshaw Archives, Denktash’s Speech of 28 February 1964. Triangle, 62. Moran, 85. Triangle,16. Princeton Nancy Crawshaw Archives Princeton Nancy Crawshaw Archives Princeton Nancy Crawshaw Archives Princeton Nancy Crawshaw Archives, Denktash’s rough draft of The Cyprus Triangle, 106. Triangle 2nd, 108. 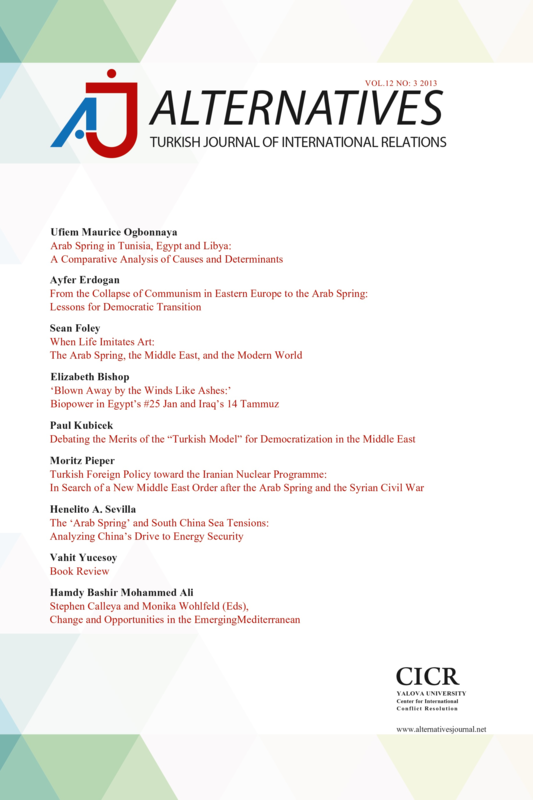 ISNAD Walker, Joshua W. . "A TURKISH-CYPRIOT PERSPECTIVE: RAUF DENKTASH AND NANCY CRAWSHAW ON CYPRUS". Alternatives: Turkish Journal of International Relations 4 / 3 (September 2005): 78-107.